Thank you ðŸ”· @enduranceellaðŸ”· for this snowy goodness â�„ï¸� in Sweden. Ella is a member of the Swedish Endurance Young Rider Team. Check out her IG and FB galleries for more of her beautiful photos from her rides. 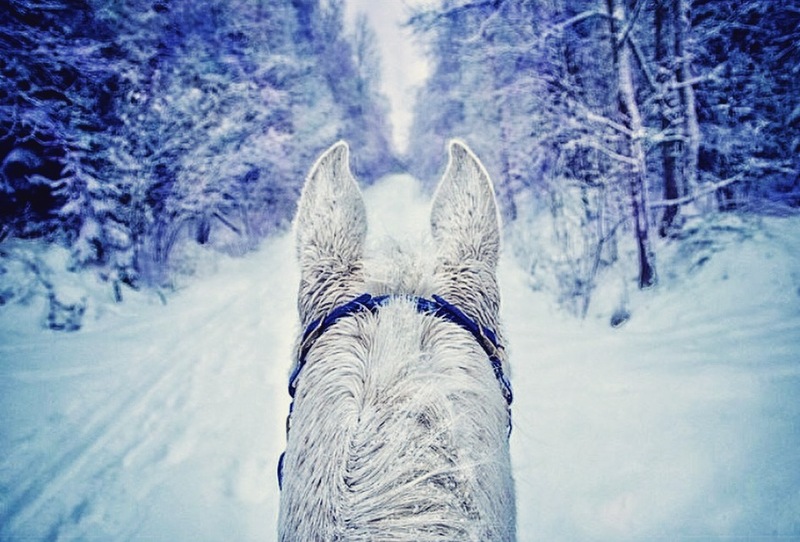 Endurance riding varies in distance of 50 to 100 miles. This event tests both the riderâ€™s horsemanship and their knowledge of their horse. The riders go out on â€œloopsâ€� that range from 10 to 25 miles of cross-country terrain, often including natural obstacles such as creeks, ditches and forests. At the end of every loop, horses must complete and pass a vet check. In order to continue, horses must reach a pulse criterion of between 60-68 beats per minute and pass an examination for hydration, gut sounds, lameness, metabolics and overall appearance. The horse and rider then get a rest period, between 30-60 minutes, and continue on their next loop.